Welcome in the holiday season with a visit to the 21st Annual Festival of Trees at Silvermont in Brevard. The historic Silvermont Mansion will be filled with holiday cheer and aglow with thousands of lights as 30 elaborately decorated trees are displayed throughout the 33 room mansion from November 30 – December 4. Coinciding with the Festival of Trees at Silvermont is Brevard’s Twilight Tour holiday celebration. On December 3, downtown Brevard shops and restaurants will hold open houses with holiday specials as strolling musicians and carolers entertain you with holiday music, or take a horse-drawn carriage ride around beautiful downtown Brevard. The traditional Christmas parade and Christmas tree lighting ceremony will take place at the end of the day’s events, along with the closing ceremonies for what has been a year-long celebration of Transylvania County turning 150. 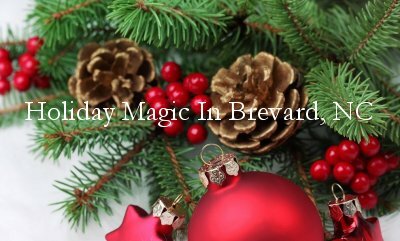 The holiday fun and festivities taking place this week in Brevard are sure to get you into the spirit of the season! Not in Brevard, but a fun, synchronized light and music display! Jay & Jewell Kaiser are extremely passionate about real estate. Contact us, through honesty, integrity, and responsiveness to your needs, we will make your Brevard, North Carolina real estate experience productive and successful. The city of Brevard is in the midst of a ground breaking project. Bracken Mountain Recreation Area, 395 acres on the western edge of downtown Brevard, is currently being developed for recreational use as a hiking and mountain biking park. A trail system will be developed through Bracken Mountain which will connect directly into the existing Pisgah National Forest trails and will include the development of some trails into loop systems. 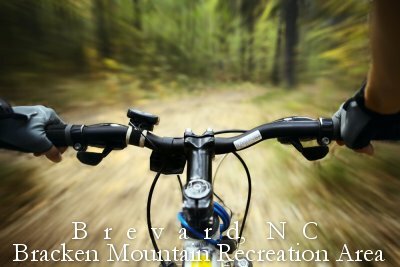 The development of the new Braken Mountain Recreation Area is another reason why Brevard is on its way to leading the nation in biking! 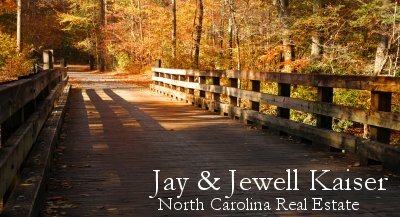 Contact Jay & Jewell Kaiser, we are the most informed professionals in our market area and we will make your Brevard, North Carolina real estate experience productive and successful. In commemoration of the sesquicentennial of the Civil War, the Transylvania County Public Library in Brevard will be host the “Freedom, Sacrifice, Memory: Civil War Sesquicentennial Photography Exhibit” through November 29. The exhibit includes photographs and documents from the State Archives, the North Carolina Museum of History, and State Historic Sites, that highlight North Carolina’s history and people of the Civil War through images of soldiers, the battlefield, Confederate Generals, women who acted as spies, and other historic artifacts. This traveling exhibition will be shown in 50 public libraries in the state through Spring 2013, be sure to visit the Freedom, Sacrifice, Memory: Civil War Sesquicentennial Photography Exhibit while it is here in Brevard. Through honesty, integrity, and responsiveness to your needs, we will make your Brevard, North Carolina real estate experience productive and successful. Contact Jay and Jewell Kaiser, you are the most important person in our business and we don’t take it lightly. 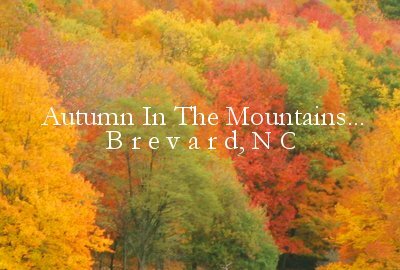 The mountains of Western North Carolina around Brevard unquestionably have a spectacular display of fall foliage and there are plenty of ways to see and enjoy all the beauty of autumn. Biking, hiking and equestrian trails will bring you into the forests, and scenic driving routes give you an opportunity to view panaramic vistas along the mountain byways. But if you are looking for a unique and novel way to see the changing leaf colors of the season, perhaps you would enjoy the bird’s-eye view that comes with a zipline canopy tour. Imagine the stunning views you’ll experience as you are soaring among the vibrant colors of the tree tops at heights of more than 70 feet and traversing multiple platforms and bridges. Along the way you will get a chance to see a variety of habitats, native plants such as mountain laurel and flame azalea, and search out hawk, deer, and other wildlife. In the Brevard area there are several tours available that will take you through the Nantahala Gorge, Plum Tree, Asheville, or Lake Toxaway. If you’re ready for an adventurous way to explore the autumn foliage in the Western North Carolina mountains, a zipline tour may be just what you’re looking for.